UMass system president Marty Meehan and Mayor Marty Walsh. With a recount underway, the battle between Lori Trahan and Dan Koh to represent the Third Congressional District remains a big post-primary political story — with a classic Boston subplot. Marty the mayor backed Koh, his former chief of staff. Marty the head of the UMass system is a quiet supporter of Trahan, who served as Meehan’s chief of staff when he was in Congress. Election results are still up in the air. Koh petitioned for a recount after falling 122 votes behind Trahan. 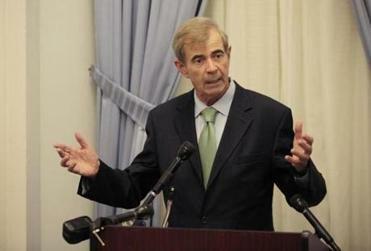 Citing concerns about the mishandling of primary ballots, Secretary of State William F. Galvin is now scrutinizing the votes. The move to “exercise direct control” through the November election injected more intrigue into the unpredictable, close Third District primary. During the campaign, both Trahan and Koh stressed their own hard work and grass-roots efforts. They, along with the others in the race, are the ones who poured their hopes and energy into winning an election whose outcome is still uncertain. In the end, their name is on the ballot, not the name of any supporter. Still, the Battle of the Two Martys is a reminder of old-school power politics and its limits, which both practitioners well know. 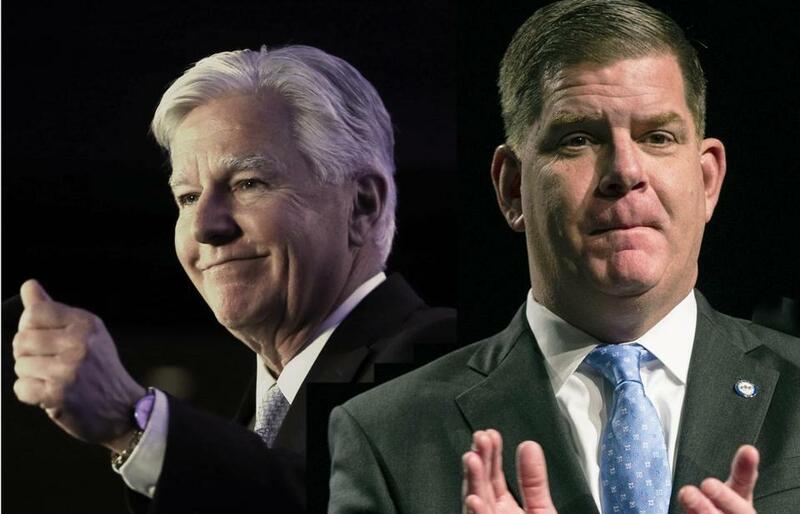 After winning a second term last November, with a 35-point spread over challenger Tito Jackson, Walsh has been riding high. But during this primary season, he also endorsed several candidates who lost, including US Representative Mike Capuano. If Koh somehow eked out a victory, it would be sweet for Walsh. As UMass president, Meehan gets credit for making the state higher-ed system more competitive. But the past year was tough, as Meehan weathered criticism about a decision by UMass trustees to authorize the purchase of the assets of Mount Ida College in Newton, which closed its doors when the sale was announced. The deal angered students and faculty at UMass Boston, and at one point, Walsh riffed publicly about the possibility of turning the Boston campus over to the city. That won’t happen; it was just another way to stake out turf as the big Marty in town. The Battle of the Martys isn’t war. But there is a little ego at stake.